Here Are the Top Spots to Have Your Morning Coffee in Maadi! Although not the healthiest habit, but morning coffee is an essential ritual for most of us! Some people literally can’t function properly and be productive human beings without their morning coffee whether before they head to work, university, school, or to do any errands! Others find morning breakfast dates more genuine and colorful than dinner dates will ever be. But what better place to begin your day or spend a morning date in Cairo, than the mesmerizing, beautiful, and full-of-trees district of Maadi. Maadi is slowly becoming a hub for super cool coffee places, where you can go enjoy your morning coffee and maybe a quick breakfast, in visually appealing surroundings, without the lethal smoke of shisha! For the love of both coffee and Maadi, we’ve compiled to you a list of the best places to have your morning coffee in the beautiful district. With Espresso Lab opening yesterday, Friday 18th, it’ll be literally a hassle to choose between all the awesome places to drink coffee in Maadi, especially for indecisive people like myself. Espresso Lab’s branches in Waterway and Point90 are always crowded for all the right reasons, and we’re sure it’ll be the same thing for the brand new branch in Degla! Gustavo Cafe is one of my favorite places, not only to chill with my friends and have coffee, but also to work! The place is usually quiet, has strong WiFi connection, electricity sockets near every table, and they serve awesome and relatively cheap coffee. Also, it’s literally three minutes walk from our office! Coffee Corner is one of the best coffee places in Maadi, and recently expanded into Zamalek with a new branch! In addition to serving premium-quality coffee, the place has super-friendly staff that will always remember how their regulars like their coffee. When winter is over, consider trying their strawberry cream smoothies, they are simply amazing! There is no doubt that Il Mulino’s breakfast and coffee is arguably one of the best ways to begin your day! What else would you want if you’re surrounded by trees, friendly and playful cats, the smell of baked goodies, and hot coffee? Although the Iconic Dahab Bakery that recently opened in Maadi is known for its delish breakfast, it should be known for serving literally the tastiest coffee out there! Ralph’s German Bakery is located in the most popular street in Maadi, Street 9, yet still managed to choose a very hidden and quiet spot. If you haven’t tried the place yet, then you definitely should. Although not a cafe, Bardo Clubhouse is one of the most beautiful places in Maadi to have your morning coffee. The place is very pet-friendly so you can take your doggo on a date there for some fun times and cuddles! It’s an amazing place to study or work as well, being surrounded by colors, art, and good vibes. Drinking coffee in the tree-house there is by far my favorite coffee spot ever! 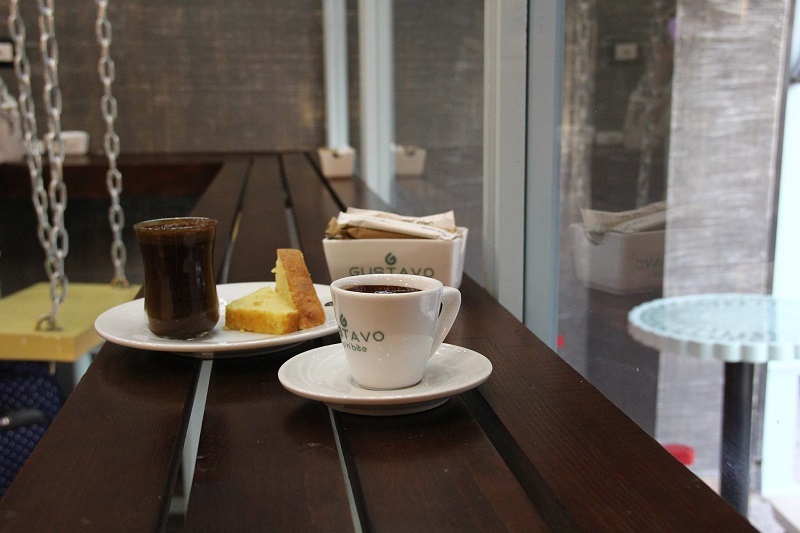 Another place that serves extraordinary coffee in Maadi is definitely Ovio. Ovio could be arguably the best place in Maadi for a breakfast date, with lovely pancakes and great toasts. If you haven’t tried their coffee because you’re too busy devouring their hot chocolate, which is very understandable, you should certainly give it a try. 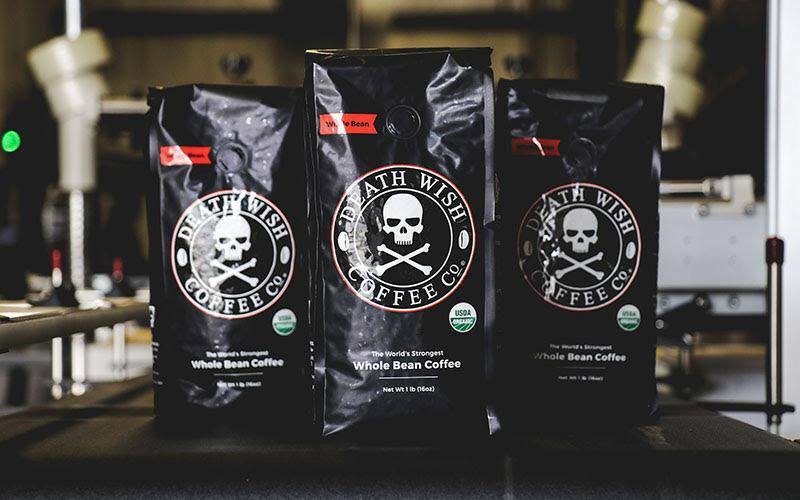 Death Wish is a coffee brand that is dubbed as the World’s Strong Coffee! A cafe recently opened in Degla Maadi that uses a coffee brand under the same name. I tried it once it was opened, and I can assure you it’s indeed very strong, yet it still tastes like heaven. Try it out and let us know how long did it take you to sleep that night! The best thing about Wanted Cafe is that it’s not only there for you when you want your morning coffee, but also when you crave it after midnight! The place is located in the heart of Maadi, and I’ve never passed by late at night and found it closed. In addition to serving great coffee, they also have a cool variety of desserts. WE SAID THIS: Let us know in the comments about your all time favorite place to have coffee!